Our software automates the key steps for responding to a critical event. It aggregates threat data from third party and internal sources so customers can assess risk, and locate people and assets at risk and those needed to respond. It then enables customers to act by executing pre-defined processes based on the type of threat for who should be contacted and how, what message to send, and who to escalate to if a responder is not available. Our platform then sends out notifications and instructions via text, voice, email—over 100 modalities—in 15 languages as needed, organizes conference bridges for people to collaborate, and analyzes return messages. Automating these steps enables them to be completed quickly, highly reliably and at scale at a time when minutes often matter. 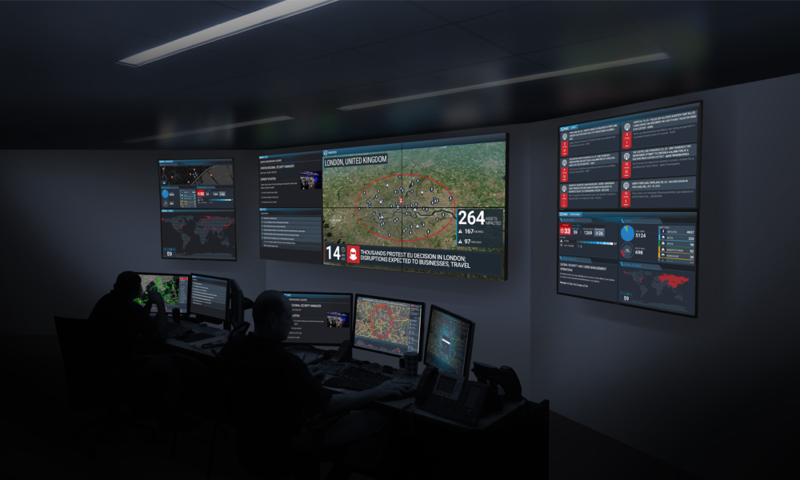 Orchestrate all crisis response activities, teams and resources, while providing real-time visibility.